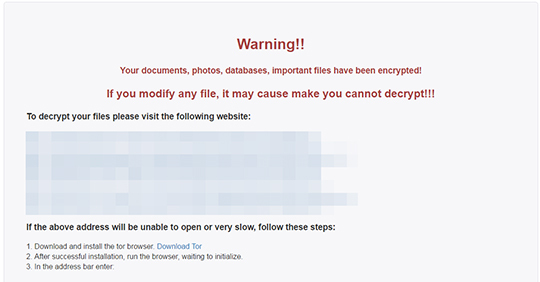 This malware is a variant of the ransomware family EREBUS and was discovered to be involved in an attack against South Korean webhosting company NAYANA. Users affected by this malware may find their personal files and documents encrypted and thus rendered useless. It connects to certain websites to send and receive information. It deletes itself after execution. Scan your computer with your Trend Micro product to delete files detected as RANSOM_ELFEREBUS.A. If the detected files have already been cleaned, deleted, or quarantined by your Trend Micro product, no further step is required. You may opt to simply delete the quarantined files. Please check this Knowledge Base page for more information.